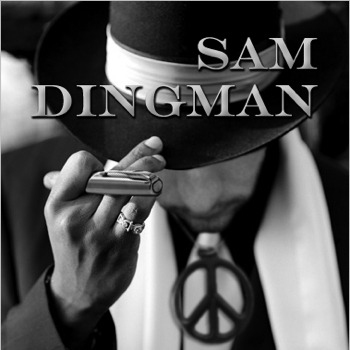 Original stories and writings from Sam Dingman. More info at www.samdingman.com. Sam Dingman is an actor, podcaster, writer, and dope rhyme-sayer in Brooklyn, NY. He performs improv and sketch comedy at the People’s Improv Theater and makes radio shows in his living room, where he also watches Baltimore Orioles games through gritted teeth while drinking tawny port. His work has been featured on SplitSider, TBTL, The Los Angeles Comedy Festival, Seattle Sketchfest, Out of Bounds Comedy Festival, and beyond. You can reach him via email at samdingman at gmail dot com, or on Twitter @samdingman. Thanks for stopping by! A story about endings– of the long, drawn-out, painful variety in particular. Also, boat metaphors. Sam recently performed this excerpt from the Taxi Tapes series at his office talent show--and it sounded like THIS. An introduction to some of my illustrious colleagues from my days as a bellhop/valet/part-time restaurant host at the Hilton. In the twelfth installment of The Taxi Tapes (http://thetaxitapes.com), Sam encounters a fellow cab driver who is fearful of the past. This week’s Moth theme is “silver lining,” so here is a piece about the one bright spot in the worst summer of my life. Good morning! Mercenaries are lurking all around you, threatening to swarm your shores! Get up! Get up! Go, go, GO! There's a lot to say about Rhymin' Simon--and this episode covers almost all of it. I am a profligate so-and-so. A profligate so-and-so with OPINIONS! A tale of holiday cheer in which I administer a thoroughly-justified dressing-down to an unscrupulous Internet racketeer. In honor of my dear friend Ben Masten's imminent move away from NYC, here is my favorite of the many comedy sketches we've written together. In which I write an break-up letter to improv comedy.